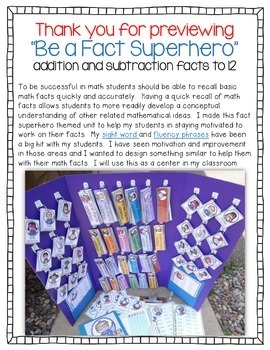 To be successful in math students should be able to recall basic math facts quickly and accurately. 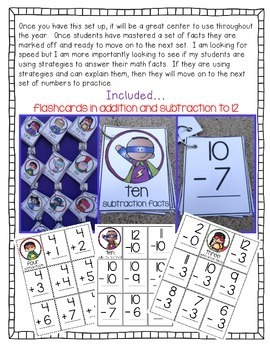 Having a quick recall of math facts allows students to more readily develop a conceptual understanding of other related mathematical ideas. 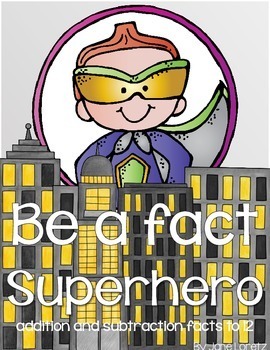 I made this fact superhero themed unit to help my students in staying motivated to work on their facts. My sight word and fluency phrases have been a big hit with my students. I have seen motivation and improvement in those areas and I wanted to design something similar to help them with their math facts. 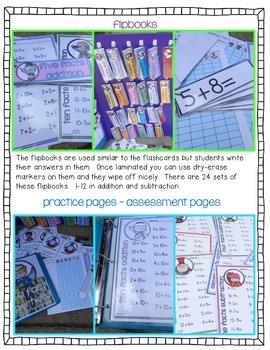 Included are flashcards, flipbooks, practice and assessment pages, check off sheets, and certificates. Please see preview for a great look at what is all included. You may also want to check out my fluency phrases pack which are very similar to this set up! My students love them all.